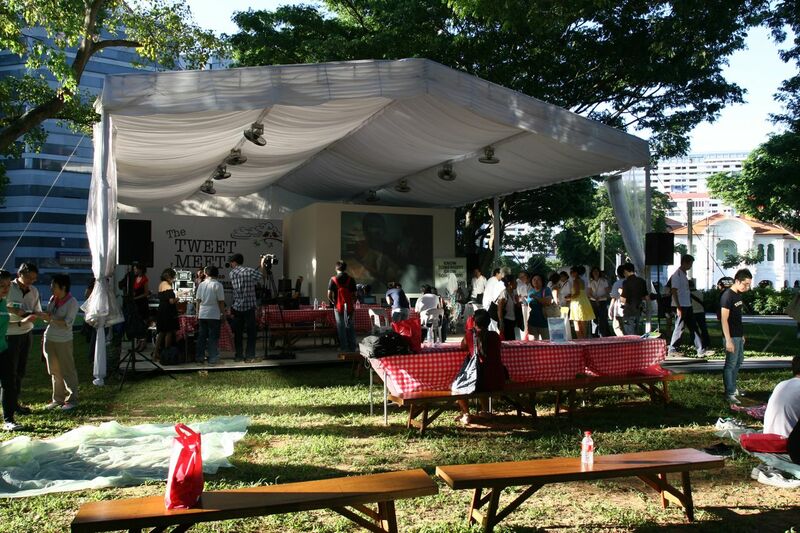 A Day of Fun at TweetMeetSG ! 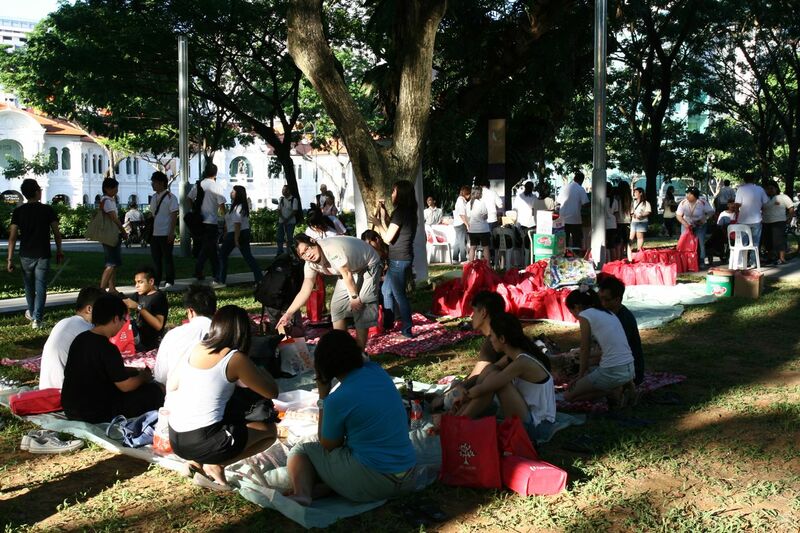 The day came and we all went down to SMU Campus Green on the 26th June 2010 for a meaningful cause, wonderful event of fun, picnic and music at TweetMeetSG ! After a month since my visit to InfoComm Accessibility Centre (IAC) and helping to spread the word, it was a great way to round off with this TweetMeetSG, however, I believe we all only just begun a bigger journey here, to help people with different disabilities to come forward and learn digital and information technology skills and knowledge at the IAC. There were live music performances, nice goodie bags with tidbits and drinks, meeting and catching up with fellow bloggers, volunteers and members of the public, as well as a few people with disabilities gracing and supporting the event too. A few of us, bloggers & twitterers that toured the IAC, we all went up and shared our experiences with the crowds ! It was great, nervous though, speaking in public, nevertheless, it was an awesome feeling and I hope that my posts, words and photos would help to spread the message further across outwards. Check out my inner thoughts on my personal blog ! Sharing photos taken by Claudia from 24seven, with her new Canon 7D ! Since I was a little bit late, I didn’t get the chance to take many photos, let me share the wonderful photographs taken by the lovely folks from IAC/TweetMeetSG ! Check out photos on TweetMeetSG facebook ! Let us all help to continue this good cause further, take a stand, help those people with disabilities, tell them about IAC and their courses, and how digital and information technology can make a difference in their life ! SOW and it’s time to grow ! A Spectacular Night at Singapore River Festival 2010 !